The rock star party entertainment is provided by two hosts. up outfits, fashion tattoos, rock star crafts and karaoke. costumes and accessories, crafts, tattoos & karaoke. 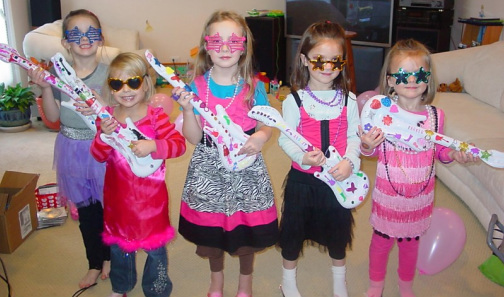 Rock star luncheon (Add $5.99/person) guitar & star shaped sandwiches, fruit snacks, chips and juice or soda.